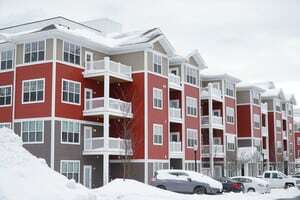 The real estate business slows down in winter months, with fewer tenants looking for new apartments. In much of the country, there’s less maintenance and upkeep to do outside — unless it’s a snowy winter. Try these activities to beat back the winter blues, reduce vacancies in open apartments, and stay productive during winter months. If you’ve got vacant units, it can be difficult to attract renters in winter months. People prefer to move in summer, when the school year is over, the weather is nice, and days are longer. However, you can still find success with winter leasing if you change your approach. You will get much more interest in rentals if your photos show off your apartment in the best light possible. Consider hiring a pro to do a one-time photo or video shoot. You’ll be able to use the media to promote your apartment for years to come and the expense is tax-deductible. Then, create complete listings that really sell your unit. What makes it special? Do you offer a programmable thermostat or ENERGY STAR appliances, so renters save on utility costs? Does your apartment come with a porch or backyard? Is there basement storage or an attached driveway? You never know what will stand out to a prospective renter, so include more information rather than less. Renting out three-bedroom units can be tricky. It’s easier to find a couple looking for a one-bedroom or two friends who want to share a two-bedroom. Try listing a three-bedroom as a two-bedroom plus office (or yoga studio, guest bedroom, etc.) to broaden your reach. Some landlords can be flexible on rent, so they lower the rent to get someone in there quickly. Others get flexible with lease terms. For instance, offering a month-to-month lease rather than a 12-month lease. Get creative with incentives, perhaps by offering free parking, free cable or a gift certificate to a local supermarket. Increase the odds of filling vacant units by responding quickly to any leads. By calling someone back within the hour or scheduling a same-day showing, you can impress prospects with your responsiveness and beat out the competition. While these renting tips for winter may help you fill vacancies, there are other techniques you can try while you’re waiting for a great tenant. Websites advertise your rentals year-round, helping you avoid seasonal slowdowns. Make it a winter project to develop a website for your rental, then enjoy 24/7 interest all year. Contractors that may be difficult to reach in summertime likely have ample free time in winter. This could be a good time to renovate an older apartment with an updated bathroom, new kitchen cabinets, fresh coat of paint, or refurbished hardwood floors. Year-end and post-holiday sales help landlords extend their purchasing power. If you’ve been planning for a remodel, winter could be the right time. You will be able to charge more for an updated apartment. Plus, the work will be done just in time for the pickup in the rental market come spring. For more leasing tips for landlords, become an American Apartment Owners Association member today.